In Hayling Island, the super-powered Mjr Lee Buff goes to war with KAPOW Wrestling’s most dangerous man: Hitman For Hire! Priscilla is never one to turn down a tough challenge and in Hayling Island, “The Queen of the Ring” takes on “The King” RJ Singh! If Priscilla can retain the KAPOW Championship in Southampton, then this match will be a title match! KAPOW Wrestling has a new face of fear in the form of “Pure Evil” CJ Carter… but who can shine a light on such darkness? None other than our fan-favourite “Thunderball” – Lookachu! The Hitman For Hire has approached KAPOW Management and demanded a tougher breed of competition. They certainly have delivered in the form of one half of The Solent Bombers – “Classic” Kris Kay! Expect a brutal match-up, as these two hardened strikers go one-on-one. 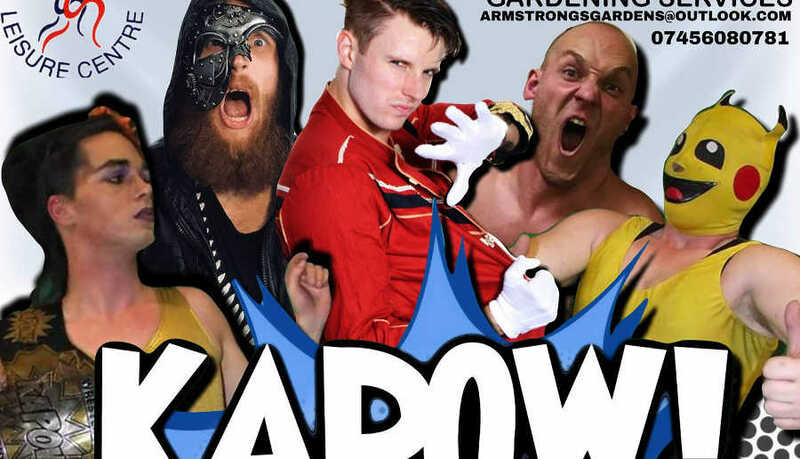 KAPOW Pro Wrestling live at the Henfield Leisure Centre! 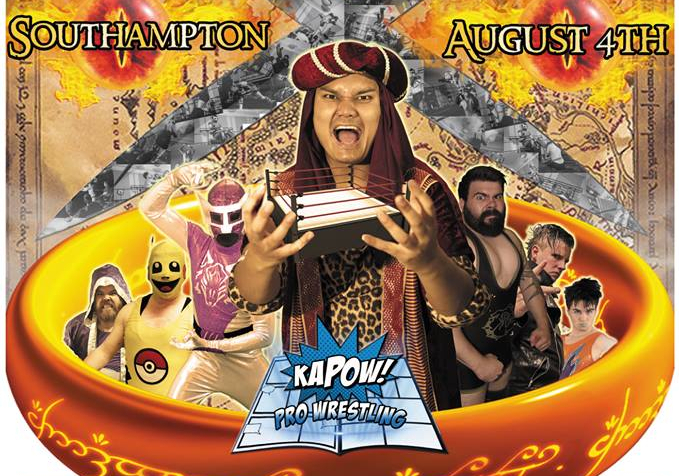 KAPOW Pro Wrestling presents SummerSmash! Live family-friendly sports entertainment action at The Park View pub in Worthing! Bank Holiday Monday 27th August – FREE ENTRY! Just when the show couldn’t get any bigger, we add a huge heavyweight clash of the bearded brutes! #HouseBattalion’s “Pirate Captain” Percy Swindles challenges #HouseEVIL’s “Iron Hulk” Karl Atlas!